On my nightstand: I’m moderating a fabulous panel about writing romantic fiction at the James River Writers Conference in October (It’s the 14th-16th! You should come!). In preparation, I’ll be reading some of the panelist’s books. 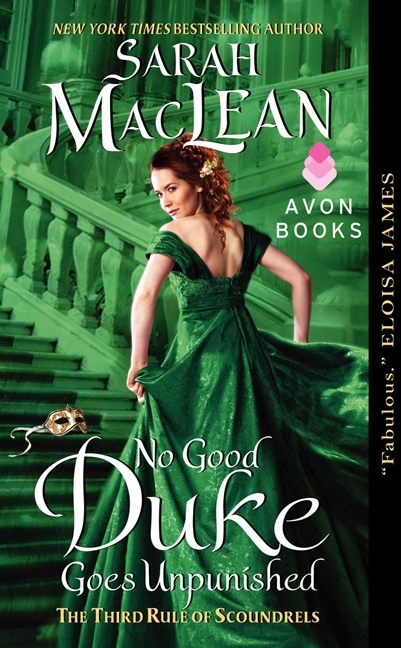 Up first, Sarah MacLean’s NO GOOD DUKE GOES UNPUNISHED. Super excited! On my stove: Looking for something different to do with quinoa (or something to do with it at all)? I love this recipe from Minimalist Baker for seasoned, baked quinoa. It’s really great as taco filling, as mentioned in the recipe, but it’s also excellent over lettuce and topped with salsa and crushed tortillas. I used this great frozen, pre-cooked quinoa that can be reheated in the microwave, which cuts down the time involved. Yum! Now it’s your turn! What can’t you stop listing to? What book can’t you put down? What the best thing you eaten recently? I would LOVE to hear all about it in the comments below! 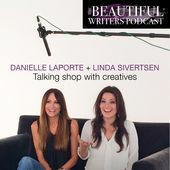 This entry was posted in What's On ... and tagged Beautiful Writers Podcast, book, duke, dukes, Glennon Doyle Melton, historical romance, James River Writers, Love Warrior, messy, Minimalist Baker, podcast, quinoa, recipe, recipes, Sarah MacLean, taco, taco salad, What's On by marychrisescobar. Bookmark the permalink. Yes! Definitely share the podcast with her, I really enjoyed it!